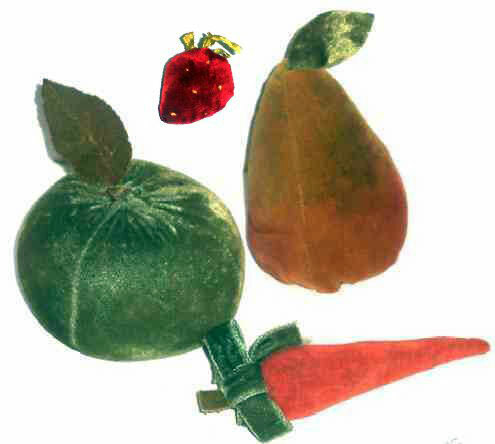 Presented here, four pieces of Velvet Fruit to add to your collection or perhaps a nice start to a new collection. Wonderful! Their condition is outstanding. These are so much fun to collect and display. We also have a group of 6 Strawberries identical to the one above. They are tied together with a silk ribbon and makes a very nice grouping and are priced at $1400.00 for the group. The collection is pictured here in our Taghkanic (Taconic, New York) Friendship Basket. 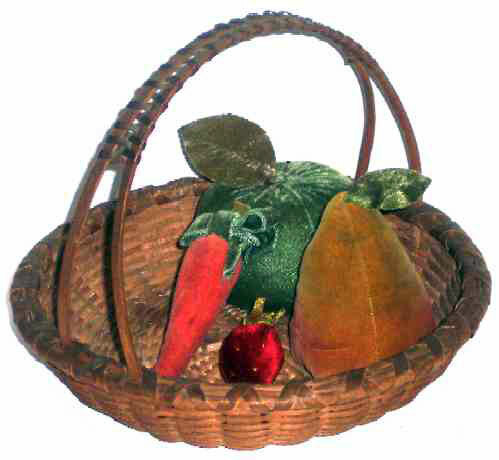 When originally made the Taghkanic Basketmakers called these baskets Fruit Baskets, but over time they have acquired the name of Friendship Baskets. 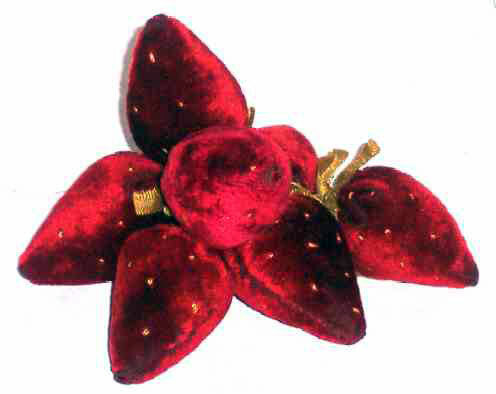 A perfect way to display a collection of Velvet Fruit!